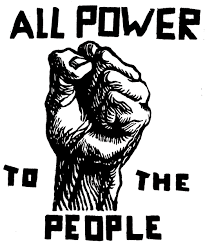 All Power to the People! 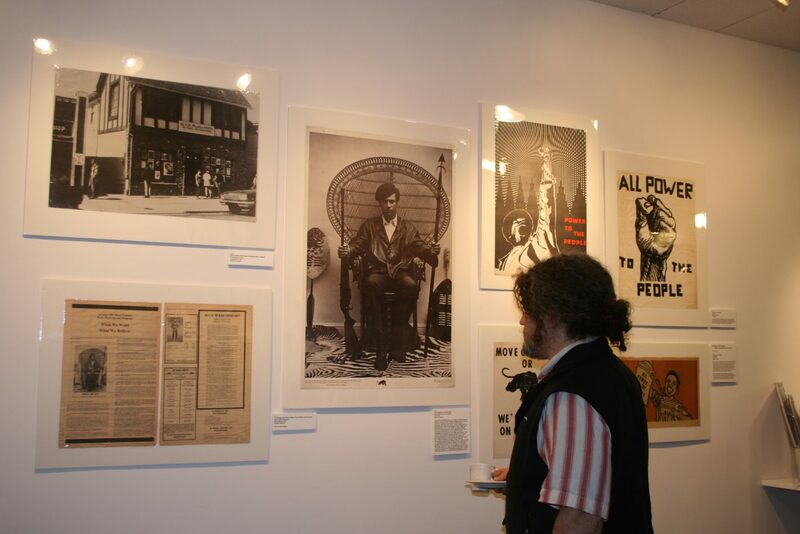 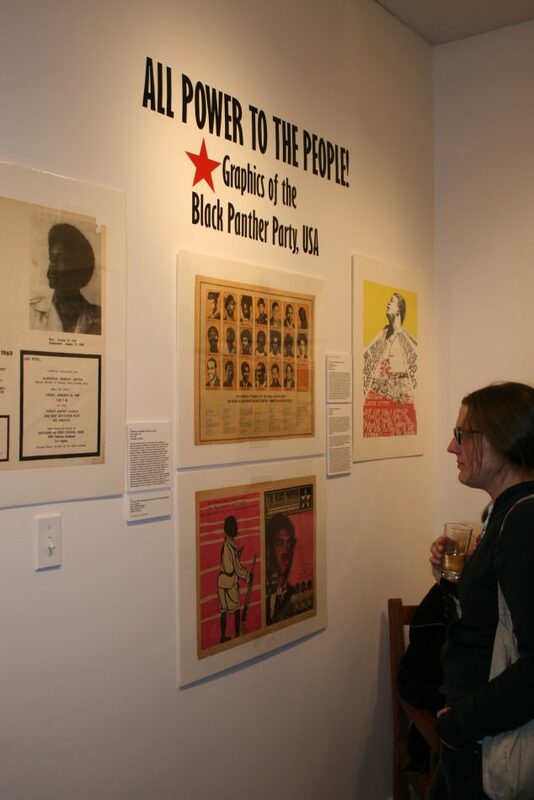 featured Black Panther Party posters and newspaper graphics produced in the 1960s and 1970s. 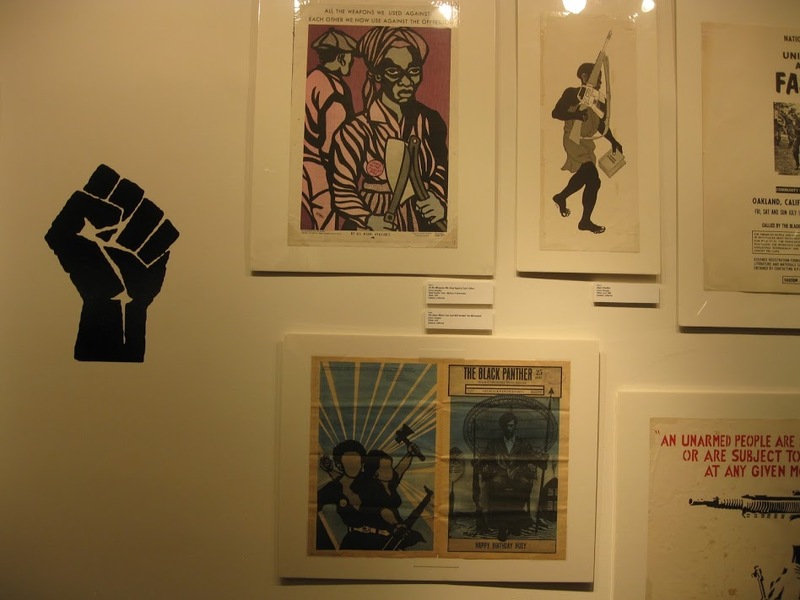 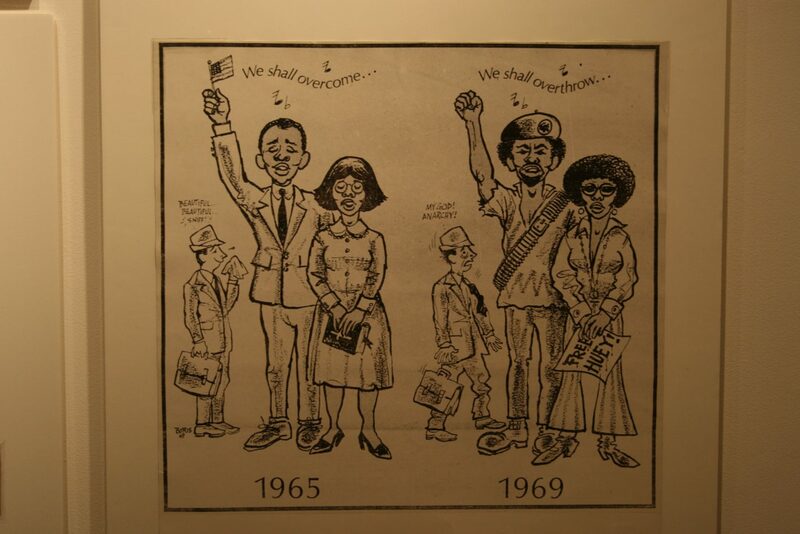 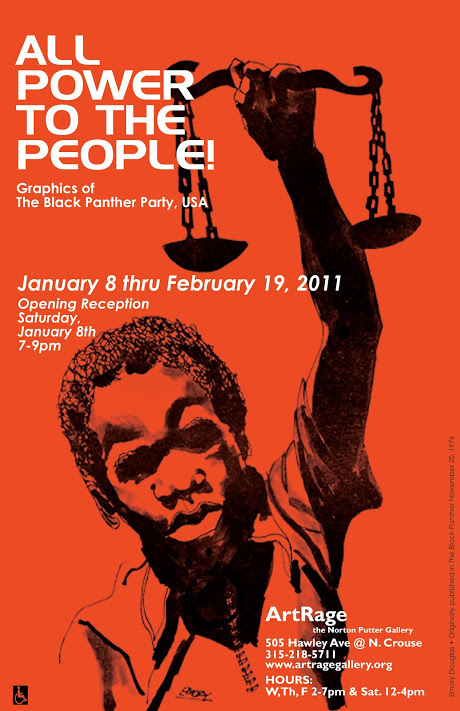 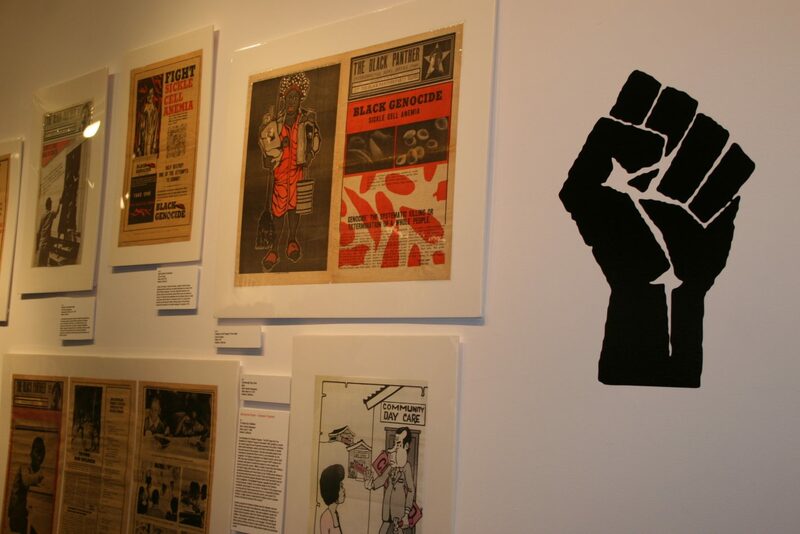 The exhibition highlighted the artistry of Emory Douglas, and documented the Panthers’ involvement with a broad array of causes, including opposition to the Viet Nam War and solidarity with the United Farm Workers movement. 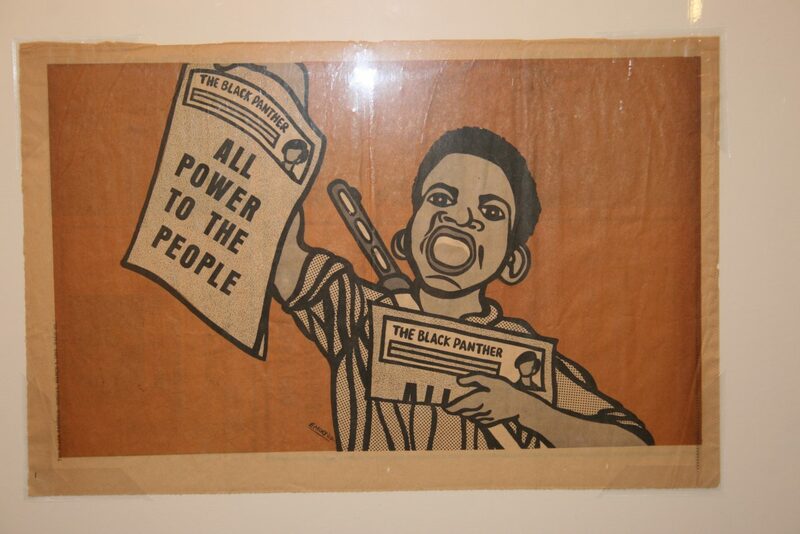 With documents obtained through the Freedom of Information Act, All Power to the People! 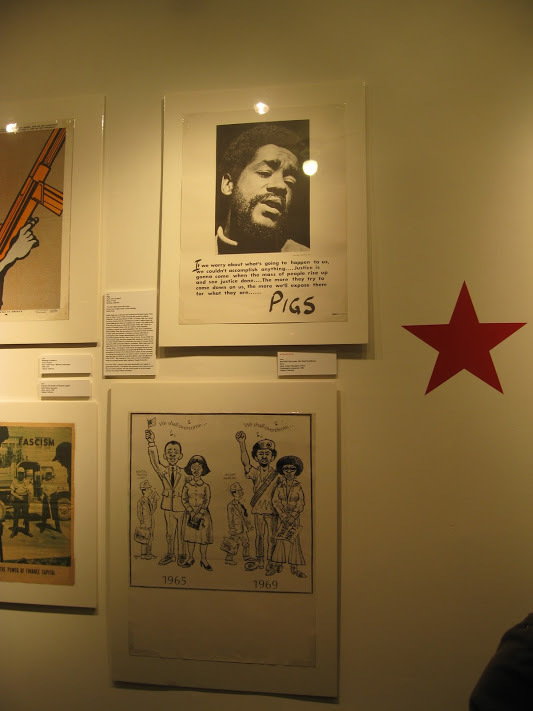 also illustrated efforts of the United States government to destroy the Panthers as part of wide-spread efforts to stifle oppositional political movements. 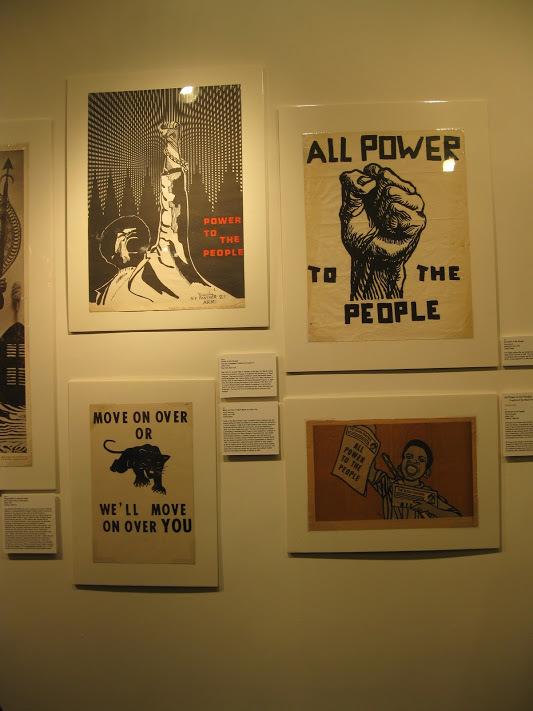 The social programs of the Panthers and the powerful images of armed party members had a strong impact on the public consciousness of the time, and their efforts to combat the oppression of racism and poverty still resonate today. 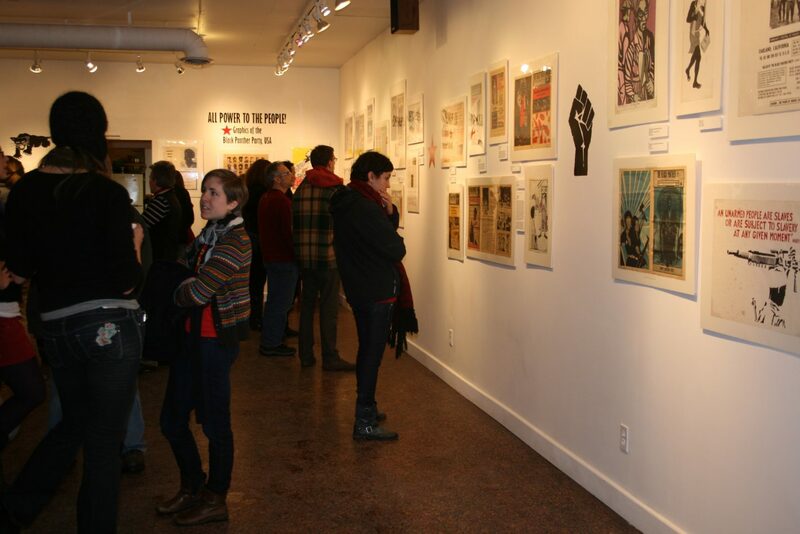 Carol & Jerry Berrigan, John & Dolores Brule, Mary Kuhn & John Thomas, Elana Levy, Glen Lewis, Andrew Molloy & Debra Douthit, Giancarlo Moneti, Dan & Doris Sage and Ann Tiffany & Ed Kinane.